Prague is a Beauty. An architectural masterpiece on Earth. You will see Romanesque churches, Gothic cathedrals, Baroque palaces and gardens, Art nouveau buildings, Cubist architecture, cobble streets. Go uphill and overlook thousands of spires and coral rooftops! Prague also dazzles at night shining like myriads of starts. Prague is a riddle. It reveals only to those who are observant, inquisitive and willing to learn about its history. Look at houses and you will see their unique marks, look up at rooftops and you will find hidden sculptures, learn more and you will see the history of many centuries unveiling right in front of your eyes. Prague is modern. It is not one of those cities that got stuck in past and collect dust, it is a place of talented ingenious people who create the atmosphere of the city day by day. They open new homely cafes and restaurants or organize hundreds of festivals, exhibitions, workshops, filmings all year round. You will definitely find something to your liking. I hope you will fall in love with Prague and I would be glad to help you do that and encourage you to come back again! I like Prague's public transport so I can only recommend to use a bus, it will take you around 30 minutes to get to the centre of Prague. You will find a bus stop right in front of the entrance to the airport, a bus number 119 will take you to the terminal station Nádraží Veleslavín (green A line), to get to the very center you should step out at the station Můstek or Muzeum. Buy a ticket for 90 minutes at the bus stop ticket machine, it costs 32 CZK and will be more than enough for this trip. In case your accomodation is located on the yellow B line, it is better to take bus number 100 to the terminal station Zličín. You can buy tickets for public transport in a special machine at every subway station, some tram station or in small newspaper kiosks that are called "trafika". To use public transport for the whole day buy a one-day ticket for 110 CZK or a thee-day ticket for 310 CZK. Validate it only once for the very first time and change lines within these days as much as you need. Prague's centre is small and walkable, to use public transport only in exceptional cases, you can buy a 30-minute or 90-minute ticket for 24 and 32 CZK respectively. These tickets are as well valid in subway, tramways, buses and trains in Prague area. Just don't forget to validate tickets as ticket inspectors won't accept any excuses. If you want to go outside Prague, buy a train ticket at the main train station - Hlavní nádraží. Specialities that can be found in every typical Czech pub or restaurant are “Svíčková” (roasted beef with cream sauce and dumplings), “Knedlo vepřo zelo” (roasted pork pieces with white cabbage and potato or bread dumpling), “Pečená kachna” (roasted duckling with red cabbage and bread or potato dumplings), “Žebra” (pork ribs), “Koleno” (pork knee). A sweet tooth will like “Medovník”(honey cake) that is served in cafes and “Trdelník” (a rolled cake with sugar, wallnut and cinnamon) which can be found everywhere around the city in small kiosks. You can order traditional Czech finger food along with beer: Nakladaný hermelin (pickled cheese) or Utopenec (pickled sausage), that is literally translated as a drown man. It is almost obligatory to try Czech beer for a tourist in the Czech Republic. If you want a shot of strong alcohol try Slivovica or Becherovka. The Czech Republic is also famous for Moravian wine and Medovina (honey-wine). If you prefer non alcoholic drinks, you can try Kofola (tastes almost like coca-cola but is a local product) or Malinovka (a raspberry lemonade). Tips are generally 10 percent. There isn't a service charge on the bill. To give a tip or not is up to you. Is tap water safe to drink? Yes, it is. The nightlife in Prague (because of the diversity and prices) is also one of the most frequent reasons why people come to Prague. Prague 1 is the nightlife area: you can find clubs on Wenceslas square, Old town square, Old town, especially in Dlouhá street (club Roxy, Lokál Dlouhá). Clubs are located in walking distance so you can try more than one. Local pubs are concentrated in Vinohrady and Náměstí míru. You can try Krymská street ( for example Cafe v lese), which is commonly known as Prague hipster street. Local pubs close at midnight during weekends, bars and clubs are open till 5 or 6 a.m. But you can find places where you can party all night and the following morning. The biggest shopping centres are located on the outskirts of the city: Černý most, Letňany, Pankrác or Chodov. The biggest shopping malls in the city centre are Palladium which is located just a few steps from Náměstí Republiky subway station (line B) or Nový Smíchov at Anděl subway station (line B). Pařižská street in the Old town is famous for being a home for world famous and expensive brands. Šterboholy is a big outlet arena of the world famous brands. Shopping malls are usually open from 8 a.m. to 10 p.m, shops inside are usually open from 9 a.m to 9 p.m but for food shops that are open from 8 a.m to 22pm. There are small 'Vietnamese' shops which are open nonstop. The shops are open whole week and close only on public holidays. With the help of "With free wireless" filter you will find highlights that offer free Wi-Fi. Free Wi-Fi can be found in shopping malls, the newest trams, in fast foods and cafes. CITY BIKE PRAGUE (http://www.citybike-prague.com/en/menu/4/pujcovna-kol/) – very well located shop in Prague center. If you want to rent an e-bike try ekolo.cz (https://ekolo.cz/pujcovny-elektrokol). Their offices are located at the hotel Intercontinental, in Dlouhá street and on Kampa Island. Czech Republic has its own currency - Czech crown. Check the exchange rate beforehand and beware of cheating. 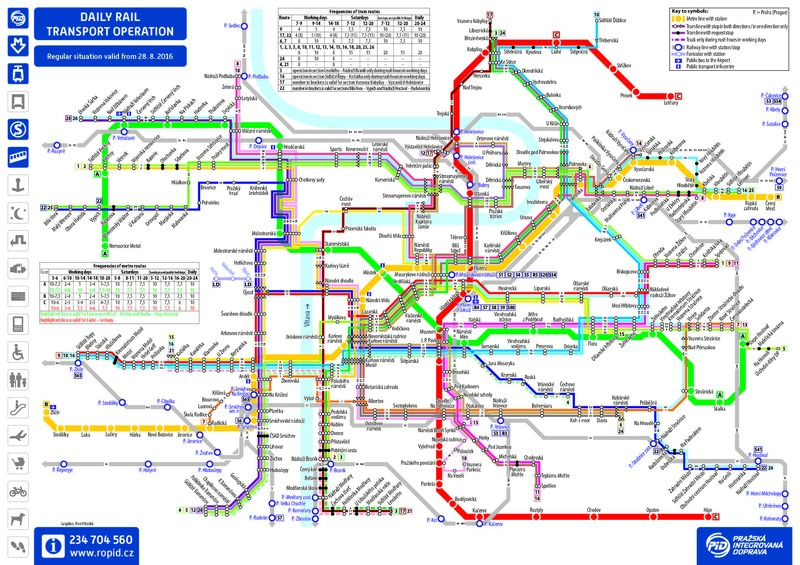 Prague has a wide net of public transport that will take you almost everywhere. A good way to experience Prague would be by bicycle. There is a long bike lane along the Vltava that will take you through the city. Czechs are keen on dogs that's why they are allowed in public transport and many cafes and restaurants. Prague is a safe city, but as everywhere take precautions and beware of pickpocketing. Buy a postcard in a book store or in Dobrá trafika and send it to your friends. The one on the picture was made by Michaela Kukovičová who is one of the illustrators of the book 'This is Prague' that is an original Prague guide book. Slivovica is a fruit brandy made from damson plums. It is a strong alcoholic beverage with fruity aftertaste. 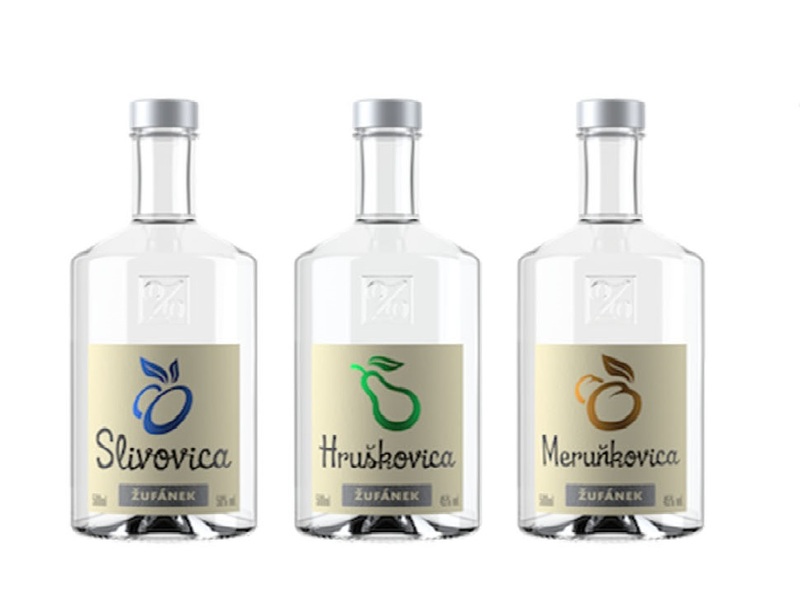 You can also try Hruškovica (pear brandy), Meruňkovica (apricot brandy), Ořechovka (Walnut liqueur). All Žufánek products are 100% natural, made according to original proven recipes without any artificial colors, flavorings or aromas. You can buy their products in Bartida degustation bar & shop. Do you want to bring something special from Prague? Borrow a Polaroid photo camera in Polagraph shop and make unforgettable instant pictures all over the place. The rent is for free, you would only have to buy a film for camera. The shop requires a 1000 CZK deposit. Have fun and bring sweet memories caught in instant pictures back home! Not many people know that Czechs are passionate mushroomers. Mushroom picking has almost a national sport status in the Czech Republic. One can buy a nice cup in the shape of a mushroom, a small old school knife, a T-shirt and many other creative things in the Les Houbeles shop. By the way, "les" stands for a forest, "houba" is a mushroom in Czech, but words put together give the name a French flavour. Czech this funny word-play out! The puppet show has been one of the traditional forms of theatre in the Czech lands for many centuries and the tradition is alive nowadays. Drop by this dreamlike shop Truhlář Marionety near Charles bridge, may be you will find a wooden friend.